You know, Audrey Hepburn was right when she said, “Paris is ALWAYS a good idea.” This striking city never seems to disappoint with its amazing history, gastronomy and a certain Je ne sais quoi making it such a sought-after destination. Being in the City of Lights with Guille was beyond romantic! We truly got to appreciate every little moment of it -- from a picnic at the Tour Eiffel, to strolling through the Champs-Élysées, to a wine festival in Montmartre right at the steps of the Sacré-Coeur- we even attended and watched France win a qualifying game for the 2018 FIFA World Cup!! Paris stole our hearts, and made us relish on the idea of maybe (BIG MAYBE!) one day living in such an inspiring place, sipping coffee like artists and scholars at spots like Café de Flore. 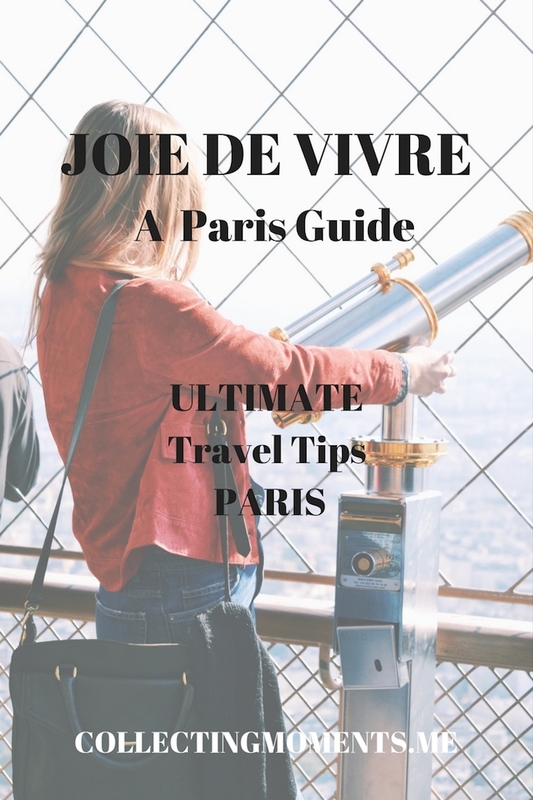 So without further ado, I present to you my Paris Travel Guide. Traveling within Europe is very easy, convenient and inexpensive if you have the time to plan ahead, which we did. We flew from Florence, Italy to Paris Orly Airport (ORY) via the low-cost airline Vueling and had a great experience. The flight was short of two hours long, and we paid a total of $55 USD each including luggage. From the airport – We rode the T7 Tram all the way to its last stop, which left us right at the Metro; from there on, the subway can get you basically anywhere in Paris. Around the city – METRO, WALK, METRO, WALK. As always, we tried to walk as much as possible, but did love the convenience of the metro and how it has stops literally at every major tourist landmark, so you can just pop right up and see everything very conveniently. I think every single quartier in Paris has its own charm and uniqueness when it comes to finding a place to stay. We were lucky enough to have stayed at my aunt’s apartment and loved the location! It was right by the Sully-Morland Metro in between Le Marais and Place de La Bastille. If we had to look for an Airbnb in other parts of town, we LOVED the areas of Saint-Michel and Saint-Germain-des-Prés with their proximity to the Seine river, the two islands: Île Saint-Louis and Île de la Cité, and all the different cool restaurants and bars in the area. La Reserve de Quasimodo – First thing I was craving when I arrived in chilly Paris was a proper onion soup, and this place hit the spot! One of my Aunt’s favorite spots in Île Saint-Louis, this restaurant is very French and charming. The service was great, and you get to smell and see everything they cook, as the kitchen is open to the seating area. So delicious! La Taverne de l’Arbre Sec – After a long walk all the way from the Arc de Triomphe to the Louvre Pyramid, we decided it was time to grab a late lunch and stumbled upon our now-favorite eatery in Paris! This French-Bistro located on Rue Saint Honoré had a great ambience, and we loved spending our afternoon there. We sat on the outside patio and ordered the salmon tartare, pasta arrabiata and a bottle of wine. Everything was exquisite, the service was phenomenal and we would highly recommend stopping here when in the area! Le Pain Quotidien – Even though this bakery is a chain, we love grabbing breakfast here, especially if you’re used to eating savory dishes for breakfast! All their items are yummy, and their bakery is exceptional! We visited the one right off the busy Champs-Élysées, which is located inside a pretty courtyard and not as crowded as other places right around the corner. Crêperie des Arts – Another of my aunt’s favorites, this crêperie is very close to Place Saint-Michel and was incredible! On this occasion, we sat inside and had a lovely time, drinking wine and ordering different crêpes to share. Everything was delicious, and the place is very pleasant. For dessert, we ordered our sweet crêpes outside to take them with us while we walked around the beautiful street and area! Insider Tip: My aunt usually orders To-Go through the window outside the crêperie, which is cheaper, practical, and the menu is slightly different. Picnic by La Seine and Tour Eiffel – Grab some fresh baguettes, delicious cheese, wine and head on over to the Eiffel Tower to watch the tower sparkle. This is exactly what we did, and it was so fun! Another cool picnic was drinking wine and eating some yummy pastries at nighttime by the Seine River. Sacre-Coeur – Best view of Paris, in my opinion! This beautiful church has a majestic 360 view of the city and the Eiffel Tower, so make sure to buy your 8-euro ticket and go all the way to the top of the dome. The inside of the church is stunning as well, and it’s located in Montmartre. We were lucky enough to happen to visit during the Montmartre Grape Harvest Festival in October and there were wine, food and art vendors all around the church- it was a lot of fun! Tour Eiffel/ Trocadero – Visit this magnificent sight both at nighttime and during the day, each has its particular charm. Arc de Triomphe – Snap a couple of photos and see the beautiful landmark. Champs-Élysées – We walked from the Arc to the Louvre and thought it was a very pleasant walk. We had breakfast by the shopping area, then made our way to the Petit Palais, had some coffee, continued on to Pont Alexandre III and all the way to Place des Invalides and back to the Champs-Élysées, went through the gorgeous Jardin des tuileries and made our way to the famous Louvre Pyramid. Quartiers – Make sure to set some time apart to just simply enjoy Paris. Walk around the different neighborhoods (quartiers), eat, drink, shop and adore Paris! We walked along Le Marais, Saint-Germain-Des-Prés and Montmartre. Palace of Versailles – On this trip we didn’t have the opportunity to make a day-trip over to Versailles and see the majestic grounds of the Château located 20 kilometers away from Central Paris. We prefer to have the time to see everything calmly in order to truly appreciate its beauty, so instead of rushing just to check it off our list of places visited, we saved it for another time, but it’s at the TOP of the list of things we’d like to do on our next visit to Paris. Riverboat Tour – I would love to see Paris from the river and appreciate its beauty from a different angle! There are many different boat tours offered and all cost about the same, but I will most likely do one by night and see La Ville Lumière shine. The Louvre – So we actually didn’t go inside the Louvre, but for good reason! The weather was so incredible during our trip that we didn’t want to be inside a building, but instead, sat at a typical café parisienne sipping on wine and people watching! We do plan to visit Europe during the wintertime and eventually see all the museums we’ve missed out on! Merci for reading and make sure to share! Let’s keep Collecting Moments!